A great jacket for weekend trekking trips or cosy evenings at the mountain hut after a winter hike, the Mens Aquila Hooded Jacket from Jack Wolfskin is a multi-purpose fleece jacket for any occasion. It keeps you warm under your hardshell when you're trekking and is equally reliable as an everyday jacket. 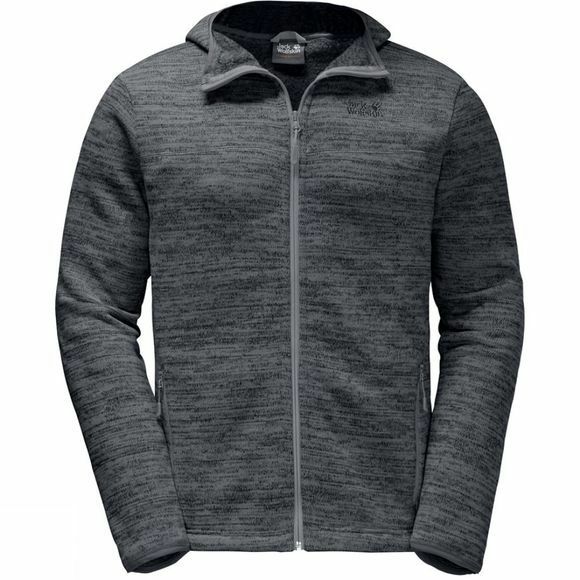 This hooded jacket has a sporty design and is made of warm fleece with a special marled appearance. Fleece has never looked as natural as this.